We are dismayed to learn of the slaughter of more than 50 ‘farmed’ lions in South Africa to feed the demand for tiger bone in Asia. That these iconic predators have been brutally commodified for profit is appalling in and of itself, even more so as their bones are being sold into markets for tiger bones and so stimulate the consumer demand which puts the world’s wild tigers at ever-greater risk. We voiced our grave concerns when the Convention on International Trade in Endangered Species (CITES) in 2016 allowed South Africa to export up to 800 lion skeletons a year – so long as they were sourced from captive-breeding facilities in the country. Now, the killing of more than 50 lions on a South African farm last week has laid bare the grim, profiteering reality of this officially sanctioned trade. 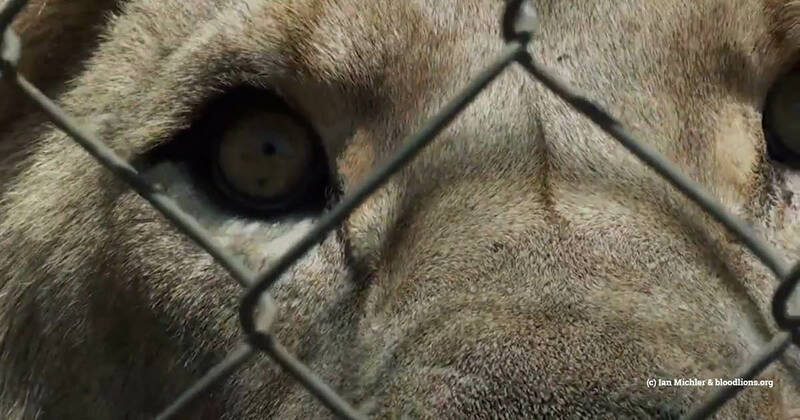 Bloemfontein Society for the Prevention of Cruelty to Animals followed up a complaint of two lions being kept in temporary containers for three days on a farm and found what was described as a “lion slaughterhouse”. The newspaper also reported that a local taxidermist prepares the skeletons for export to China and the Far East after the animals’ flesh is boiled from the bone. It is understood charges of animal abuse are being prepared against the farm’s owner and foreman. Debbie Banks, Head of our Tiger Campaign, said: “This is a dreadful state of affairs and one we could see coming all too clearly. The world’s last remaining tigers – numbering fewer than 4,000 – are already under severe threat of extinction, having lost 93 per cent of their historical range and suffered a population crash of 95 per cent during the past century. 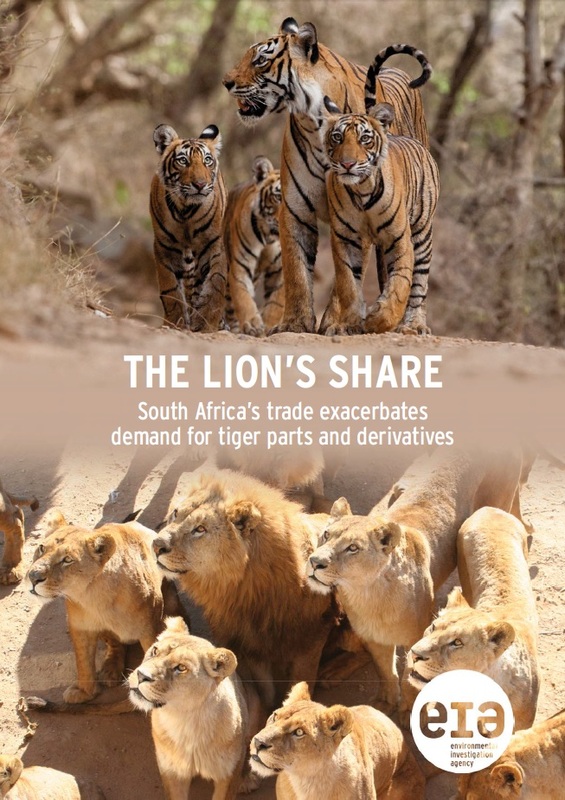 The major threat is poaching to meet the high demand in Asia for their parts and derivatives, a demand exacerbated by the legal trade in lion bone. We have documented several examples of lion bone appearing in illegal tiger trade, including the arrest in China in April 2017 of a trader who had purchased what he believed was tiger bone but which DNA testing found to be lion bone, and a suspect arrested in Vietnam in May 2016 with 680 tiger claws smuggled in from Laos but later found to be from lions. Banks added: “There are now more than 7,000 tigers in captivity in Thailand, Laos, Vietnam and China. I think it is likely that some canny lion (and tiger) breeders in South Africa have seen a business opportunity to get in on a growing supply chain. Trade in lions is not so much a substitute for tiger but is supplementary to the growing, unchecked and unchallenged demand for tiger – and with some consumers preferring wild tiger bone, it is still leading to poaching pressure on the remaining wild tigers. China, for its part, needs to ban the use of all tiger and other big cat parts and products, including from captive animals, and invest more in demand-reduction.